Located in Hart, Barren and Edmonson counties, Mammoth Cave National Park is one of Kentucky’s “There’s Only One” attractions. Mammoth Cave National Park is a park on two levels – 52,830 acres of reclaimed hardwood forest and winding waterways, and below it, the longest known cave system in the world, surveyed at 400 miles to date. Located within a day’s drive of major population centers, it offers camping, hiking, horseback riding, bicycling, canoeing, picnicking, and cave tours. Mammoth Cave was established as a national park in 1941, later designated a World Heritage Site in 1981, and an International Biosphere Reserve in 1990. The Biosphere Reserve area was increased from 112,830 acres to 909,328 in 1996. In karst terrain, everything that happens on the surface affects the cave below, and activities far outside the park boundary (farms, factories, highways, and rail-lines) affect the health of the underground rivers and the delicate lifeforms they support. 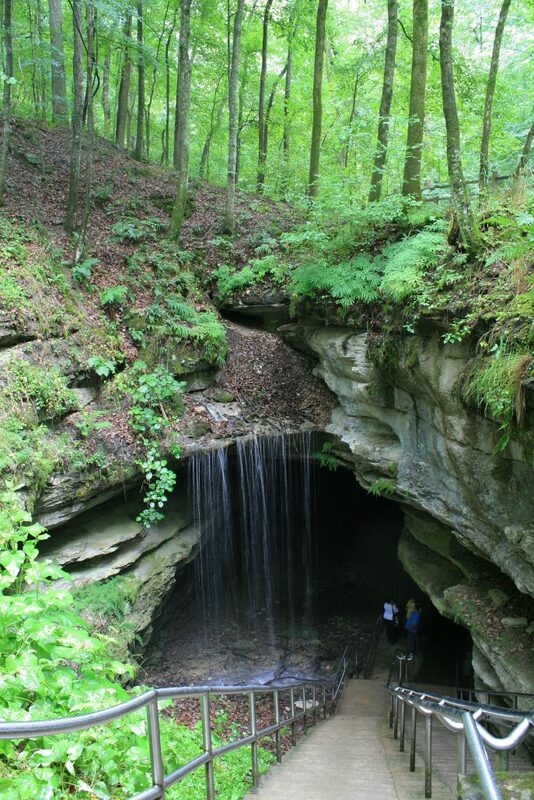 Mammoth Cave’s underground watershed empties into several large springs along Green River within the park. The park preserves evidence of historic and prehistoric human activities: stories and homes of the families (of European and African descent) who lived on the park land before 1941; and artifacts of Native American-miners, who gathered minerals from Mammoth Cave as many as 5,000 years ago. In 2012, the Park’s 508,000 annual visitors spent $33 million at the park and and on the various things to do near Mammoth Cave. Kentucky visitor spending in the area supports 508 jobs. For tour and ticket information about Mammoth Cave or things to do near Mammoth Cave, Kentucky, go to www.nps.gov/maca.